Accommodation for 13 nights in Pauanui (2), Rotorua (2), Christchurch (2), Fox Glacier (1), Queenstown (4) and Auckland (2). You'll pick up your Avis Rental Compact Automatic Car with unlimited kilometer basis & standard vehicle insurance (subject to excess). Take a leisure easy drive to the Coromandel Penisula (approx 2 hours). The Coromandel, with pristine beaches, native forests and laid-back vibe, is one of New Zealand’s most popular and best-loved holiday destinations. A binocular’s view across the gulf from Auckland, the Coromandal is everything that a big city isn’t. Cloaked in native rainforest with dazzling white sand beaches, it is rustic, unspoiled and relaxed. You'll stay here 2 nights. Take a break and rtest up before the adventure begins! Suggested touring options: Find the famed ‘Hot Water Beach’ and dig your own hot pool just meters from the Pacific Ocean. This beach is phenomenal in more ways than one. Naturally heated mineral water bubbles up from deep within the earth to emerge through the sand. Black Abyss is the ultimate Waitomo adventure and is the caving tour of choice for natural born adrenaline junkies everywhere. Descend into the seemingly bottomless black depths of the glow worm studded Ruakuri Cave. This five hour expedition combines abseiling 115 feet, climbing, whizzing down a flying fox and cave tubing underneath glow worms into one unforgettable journey. At every stage you're accompanied and supported by experienced caving guides from The Legendary Black Water Rafting Co. who know and love this totally unique and mind-blowing environment. From the innovative little country that brought you bungy jumping, Hobbits, and a range of other crazy things to do while on vacation… now comes: Zorbing. 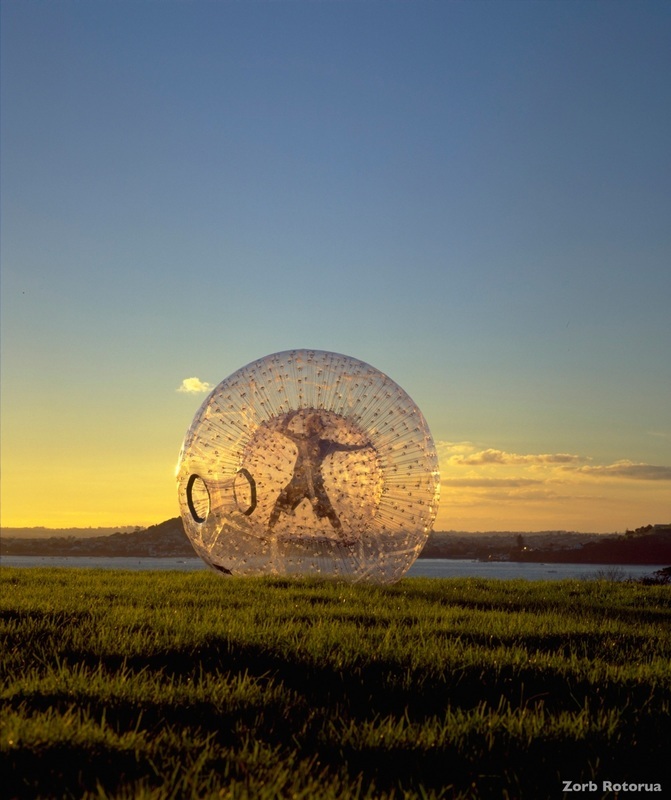 Zorbing is the experience of rolling down a hill in a large inflatable globe at a dedicated ZORB site. There are two types of ZORB globes available - the harness, or ZORBIT (dry) variety; and the non-harness, or ZYDRO (wet) variety. What's more, you can choose to roll down a one of our track variations for a completely unique experience. In the Zydro ride water is added into the globe so you can run, tumble, flip or slide inside as the globe hurtles downhill at speeds of up to 20mph. This is great on your own, or even better with up to three people. Water is cool in the summer and warm in the winter. Welcome to Christchurch, the ‘Garden City’. The Southern Alps provide a fantastic backdrop to this awesome city. Perched on the coast, Christchurch is the doorway to the Canterbury Plains which spread westwards towards the mountains. The largest city in the South Island offers fresh and exciting attractions, a lively café scene, lots of Victorian architecture, and many beautiful parks and gardens. You'll stay here 2 nights. Today you will visit Akaora via the Sign of Takahe, Sign of Kiwi, Governers Bay, Gebbies Pass, Lake Forsyth and Little River. Visit a cheese factory where you will have the opportunity to sample some NZ's fine cheese. On arriving at Akaroa join a cruise on the Akaroa Harbour sighting dolphins, penguins and seals. Prior to your departure you will be equipped with wet suit, mask, snorkel and flippers. On locating a pod of Hectors Dolphins you will enter the water to swim with these rare and endangered mammals. Following your return to Akaroa village time will be available for lunch (at your expense) and to explore the many fine craft shops and old French colonial buildings. On your return to Christchurch you will make a stop at the Birdling Flat at Kaitorete Spit which is a stony beach at the entrance to Lake Forsyth before being dropped back off to your accommodation. The trip is 140 miles long and takes just four and a half hours. There are 16 tunnels, and 5 viaducts, the highest being the Staircase standing at 240 feet. You'll pick up your Avis Rental car and head south to Fox Glacier - a stunning 3 hour driive, staying overnight at Fox Glacier. Half day guided walking tour, A popular walk and a great introduction to the frozen world of Fox Glacier. Our friendly guides will lead you onto the ice via a secret track through bush regenerating from previous glacial advances. Your guide will share with you their enthusiasm and knowledge of the geology of the area, while you walk on the glacier viewing its stunning ice features. Minimum age 7 years. Duration: 4 hours. Following your Glacier Hike, drive to Queenstown. Your adventure combo today includes Skydiving with Nzone, the ultimate jump (9000ft), jetboating the Shotover River Canyons with Shotover Jet and whitewater rafting down the Shotover River. More thrills today, beginning with the Skyline Gondola ride. Just a 5 minute walk from central Queenstown, ride the Skyline Gondola to the top of the Skyline complex at the summit of Mount Ngongotaha. The best views in the region are found here spread out in a spectacular 220 degree panorama, with breathtaking views of Coronet Peak, The Remarkables mountain range and across Lake Wakatipu to Cecil and Walter Peaks. It's truly magnificent and awe-inspiring! Zipotrek Ecotour gives those with an appetite for adrenaline the chance to take zip-lining to a hair-raising level. The Kea Tour is a three-hour high-velocity 6-line adventure that includes a stunning 20-minute guided trek along a new extension of the local 'Tiki Trail', an ancient native Beech forest on our aerial tree-platforms. Experience the forest as never before foxes including the steepest tree to tree flying fox in the world! The Ledge Bungy is like no other, in that it comes equipped with a 'runway' to launch you out 400 meters over Queenstown. What makes this special is the Bungy harness which allows you to vary your Bungy Jump style; try a flip, twist, or numerous other options all designed to provide a different Bungy experience. Age: Min 10 yrs (Children 15 and under need to be accompanied by an adult). Weight: Min 75lbs - Max 280lbs. Milford Sound is a world-renowned natural wonder where mountains stand tall, straight out of the sea. Luxuriant rainforest clings to sheer rock walls and waterfalls tumble hundreds of meters to the sea below. Whatever the fiord’s mood – brooding and wet, or tranquil in the sunshine – it will inspire you. Depart Queenstown by luxury glass-roofed coach and enjoy a relaxing trip along the shores of Lake Wakatipu and through the rolling countryside to Te Anau. Have a short break in Te Anau and then follow the spectacular Milford Road. On reaching Milford Sound, board the Milford Mariner for a relaxing cruise of Milford Sound. The cruise provides excellent viewing opportunities and plenty of time is available to enjoy waterfalls, rainforest, mountains and wildlife. Return to Milford Wharf and reboard the coach for the return journey to Queenstown. A great way to experience Milford Sound is to travel by coach one way and fly the other, or fly both ways. Flights are very much weather dependent – and the weather in this part of New Zealand is very changeable. Rather than pre-book flights into or out of Milford Sound, we recommend upgrading to a flight option when you are in Queenstown. Stay 2 nights in Auckland in the heart of the waterfront district. NZL 40 and NZL 41 offer the unique opportunity for everyone to participate in sailing on an America’s Cup yacht. These grand prix racing machines were part of The America’s Cup challenge - the world’s oldest and most prestigious sporting trophy and ultimate yachting regatta. You are encouraged to take the helm, exert energy on the grinders or simply sit back and enjoy the action as we sail down the Auckland Harbour. Dress comfortable, wear soft soled shoes; wet weather jackets provided if required; children must be 10 years or older. Shuttle transfer to Auckland Airport for your flight home.